Peter Wilson is a real estate licence in Queensland, NSW, Victoria & NT. 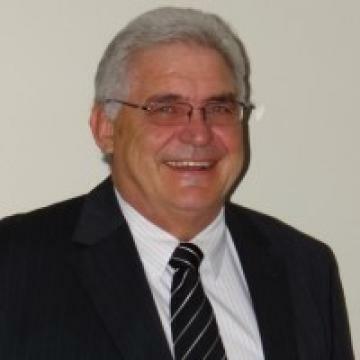 Peter has had personal experience as an investor in real estate having owned a service station, industrial sheds, display yard and development land. Peter offers knowledge and experience to help other find the right property or business to suit their individual needs. Peter comes from a background in the Queensland Public Service where he was a prosecuting barrister in the Department of Natural Resources and Primary Industries for the last 10 years. Before that he was an Auctioneers and Real Estate Agent investigator for about 10 years in the Office of Fair Trading. Peter was involved, as principal investigator, in a number of ground breaking cases that have been reported in the Law Journals. Peter Wilson was the person who proved that the “Marketeers” (two tier real estate sellers) were real estate agents, and were therefore subject to the real estate laws. For those who are interested in the law, my investigation, reported as Jenkins v. Kedcorp proved that the Marketeers on the Gold Coast were unlicensed real estate agents. The link to the case is Jenkins v Kedcorp Pty Ltd  QCA 452 McMurdo P. Pincus JA. Thomas JA. 02/11/1999. Peter also had a couple of other reported cases including Marlow v Herd; Ex parte Herd (1990). 2 Qd R 519) where, after prosecuting Herd, he recovered and had paid over in excess of $300,000,00 to defrauded vendors on Russell, Lamb and Macleay Islands. Peter later moved to the Minister’s Office to advise the Minister, (Judy Spence) in relation to Marketeering practices. Accordingly he was on the Marketeering Committee as her representative. At the Minister’s direction, Peter worked with Professor Bill Duncan in creating legislation to curb the problem. With this wealth of knowledge and expertise Peter is well-placed to assist clients seeking to acquire or dispose of either property or business.